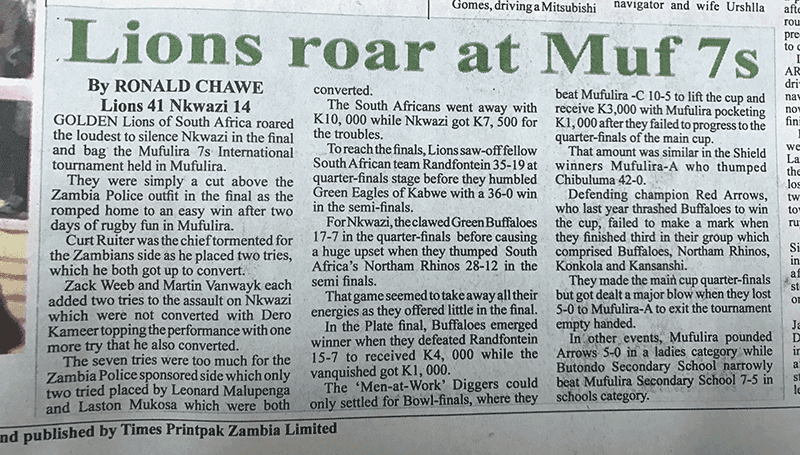 The Mufulira/Mopani 7’s Rugby Tournament took place on the 4 – 6 August in Zambia and our Zambian partner – Nuco Industrial Services / Nuco Nutrition was there! This annual event is organised by Mopani Copper Mines and is sponsored by them together with other suppliers. With teams coming from as far as South Africa to compete in the event, not only for prize money but also for the opportunity to compete in such a special event in the middle of Africa. This was a really fun event for both the players and spectators with not only the good rugby by day but evening events that lasted late into the night for three days nonstop. Zambians really showed the visitors their hospitality and how to have a good time on and off the field. 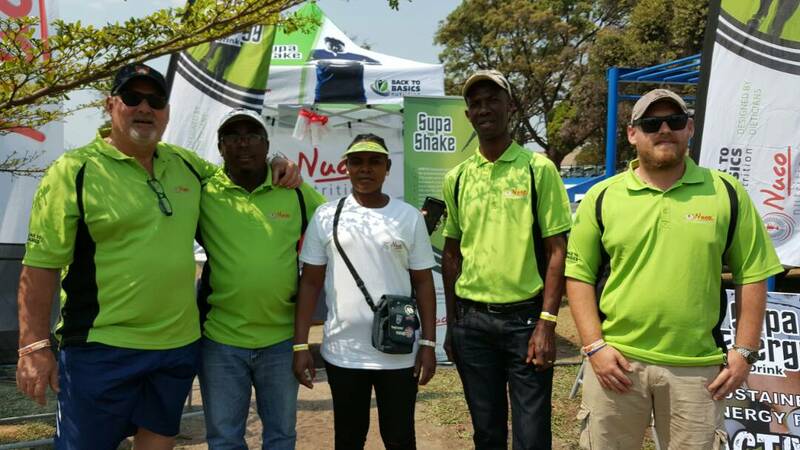 Nuco Industrial Services had a stall at the event where we promoted the Supa Energy and Supa Shake nutritional products we recently launched in Zambia. A year ago Nuco Industrial Services secured a miners feeding contract with mining company Murray & Roberts which is now entering the second year and has had great results and acceptance from the workers. These workers are mainly underground and are subjected to harsh working conditions and high humid temperatures. The Shake and the Energy drink are well suited to this environment. The aim of our participation was to create awareness amongst players and the general public. 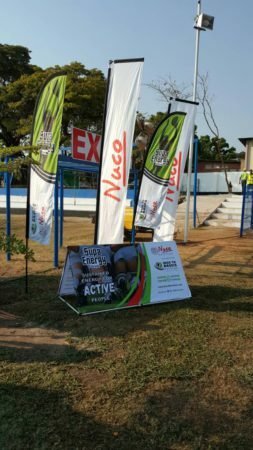 For the event Nuco Industrial Services sponsored the three top teams with shaker bottles each and a pack of Shakes and Energy drinks for the teams and coaching staff. The other 17 teams were given packs of Supa Energy for two days at the point of registration on day one. The comments received were awesome and we had a lot of players coming to buy more packs as the days got longer and longer. 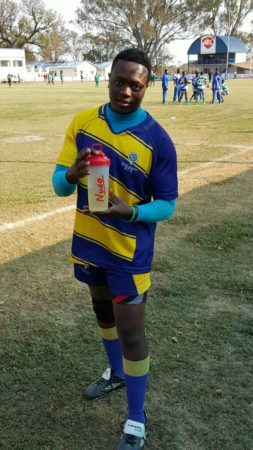 7s rugby is energy sapping stuff and teams had to play three games a day for the first two days. 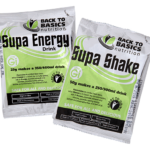 At our very colourful stand, compliments to Back to Basics nutrition, we had on offer tasting of products and sales of shaker bottles , Supa Energy and Supa Shake sachets. The products were very popular and we were still selling late on the third day. The sales and acceptance were so encouraging that we are already making plans for other events. During the event we had lots on enquiries of people from as far as Lusaka and even the Golden Lions that want to buy the products. We will be following these up to see how we can grow the brand. All in all this was a very good event, ideally suited for this product range and I am very pleased with the end result.